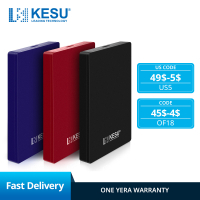 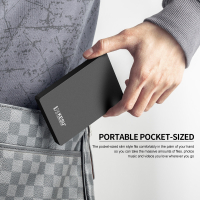 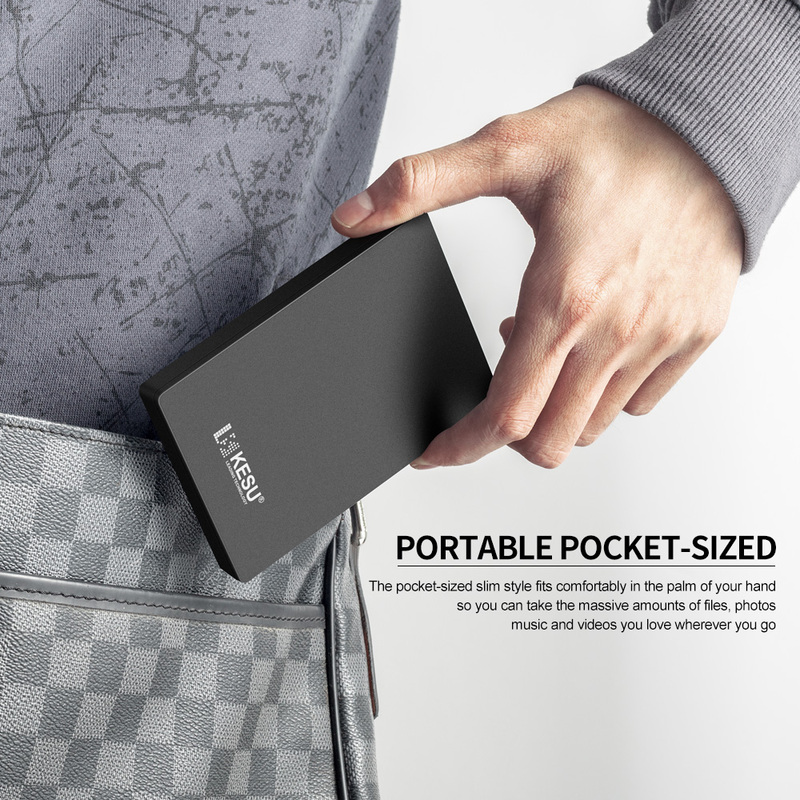 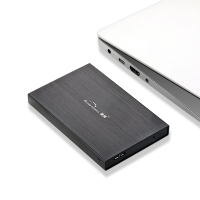 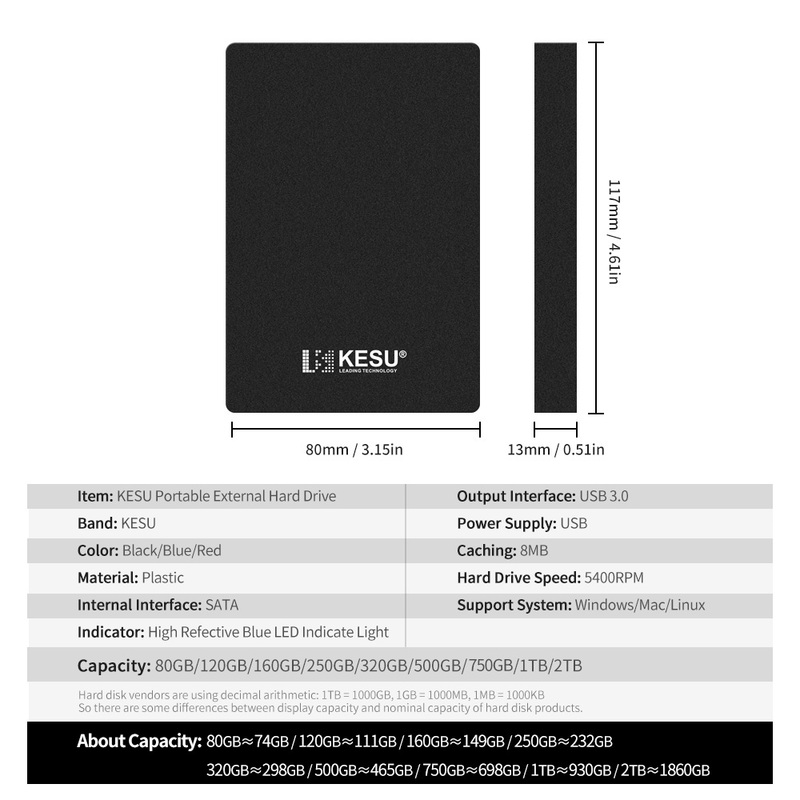 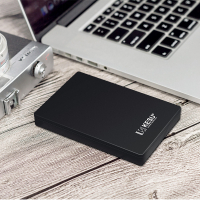 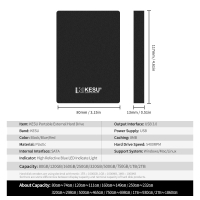 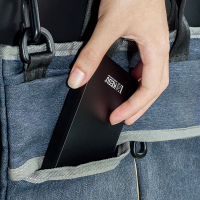 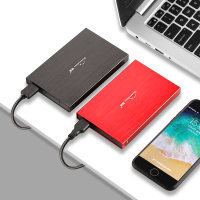 The KESU Portable Hard Drive Disk provides extra storage for your ever-growing collection of files. 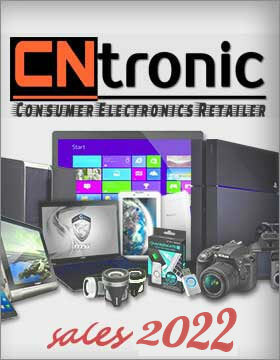 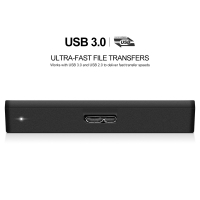 It is trusted to store the massive amounts of photos, videos and music you love. 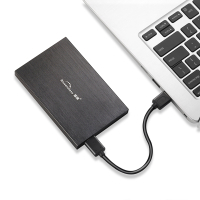 Free up space on your computer\'s internal drive to help improve performance, without having to worry about running out of space. 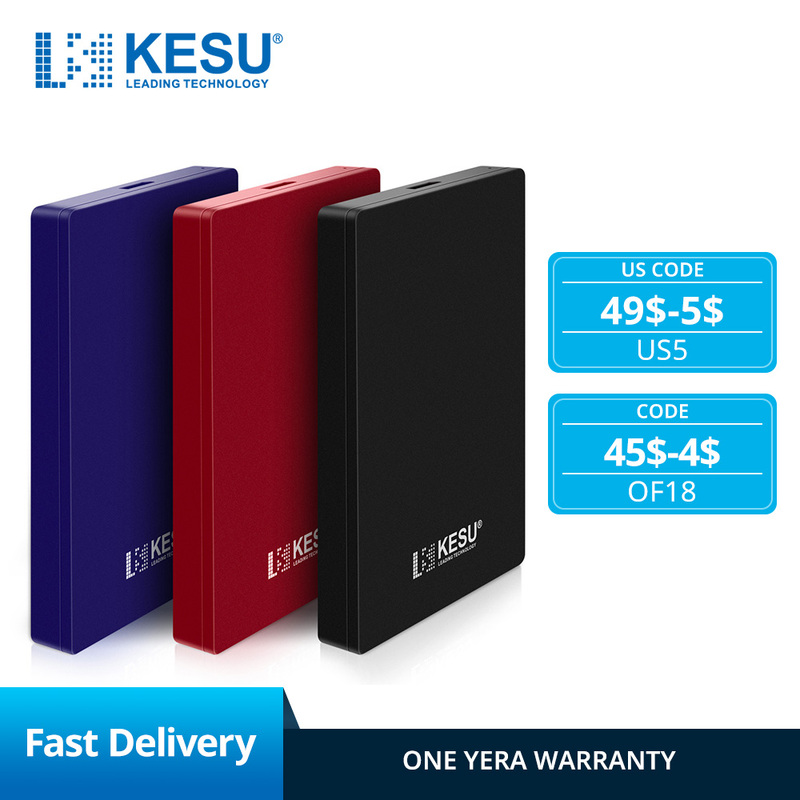 Simple and perfect industrial design, the core part of the distance from the edge to retain space, can prevent the damage caused by the collision. 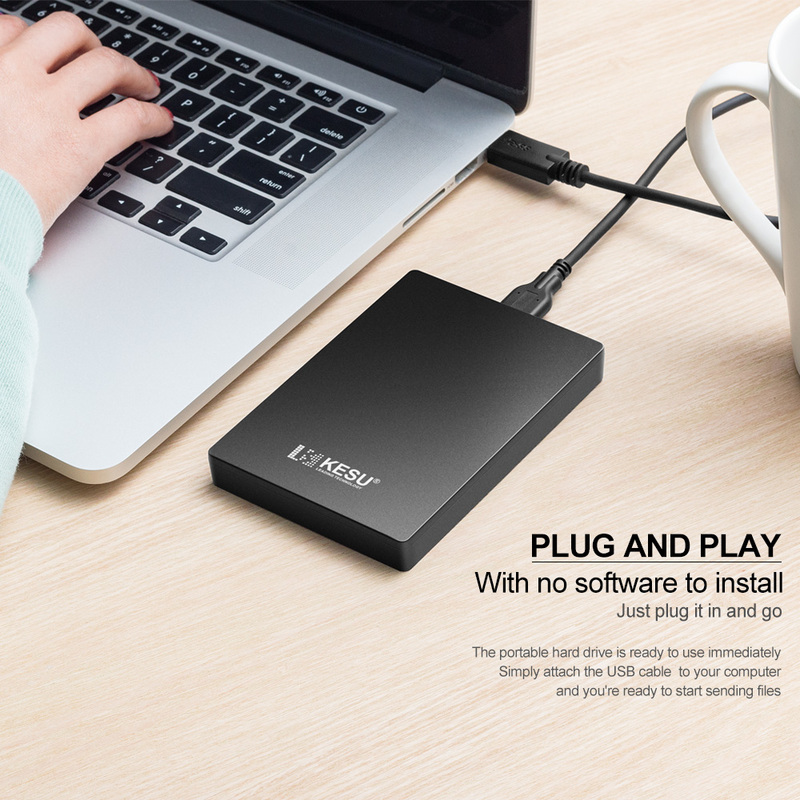 Plug and Play, no need to inistall any drive software, just plug in and go. Super speed USB 3.0 port to deliver ultra-fast transfer speed, save your time. 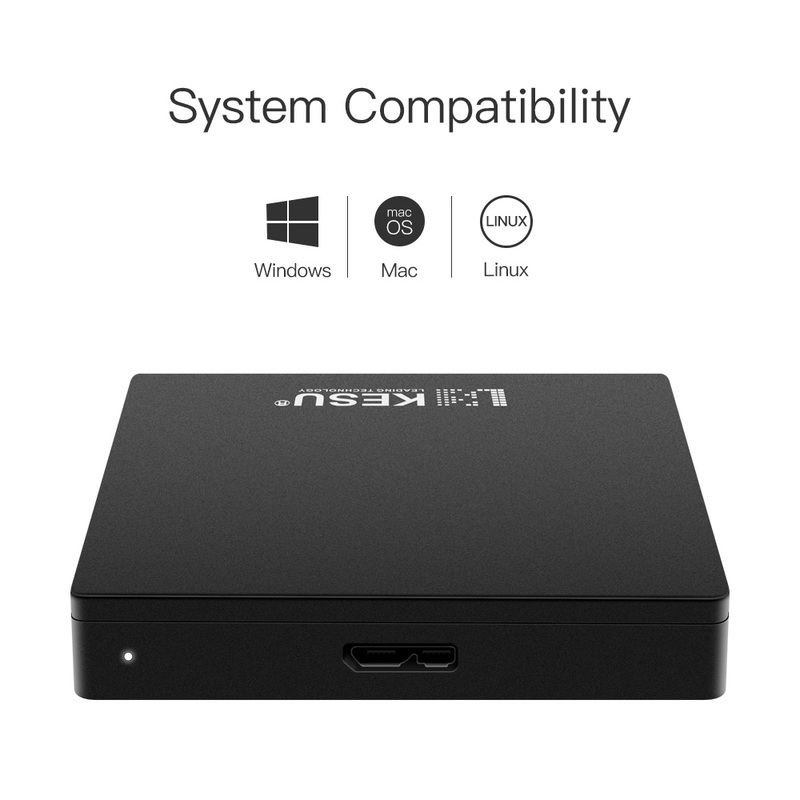 System compatibility: Windows 10 / 8 / 7 / Vista / XP, Mac OS X, Linux OS.